I buy wool at sales and thrift shops, often not knowing what I'll make with it. This lot was sitting about for a while. 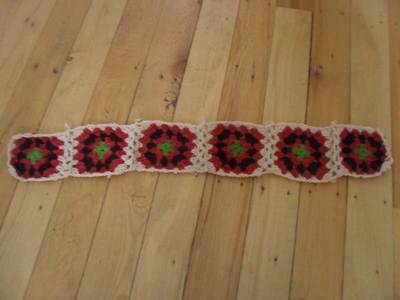 There was only one part skein of green, so that became the center colour, as each outer row requires more yarn than the row beneath it. 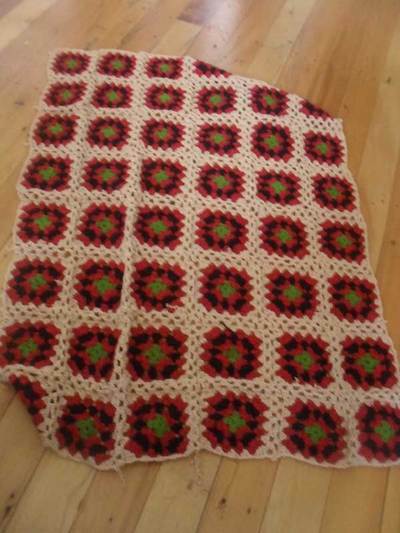 I got 60 centres out of it - so that decided the size of the blanket. I had plenty of beige, so used it as the outside row and to join. 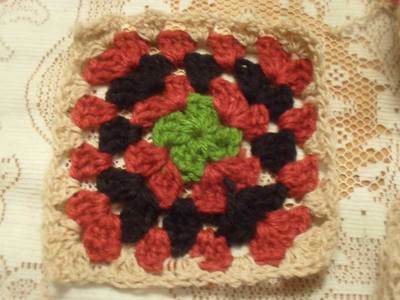 The granny square has five rounds. 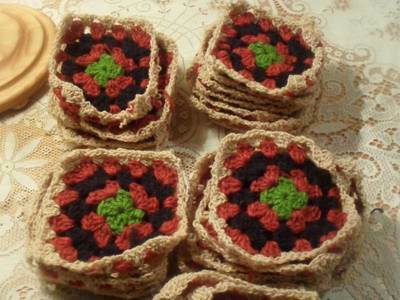 Make your own granny square here. 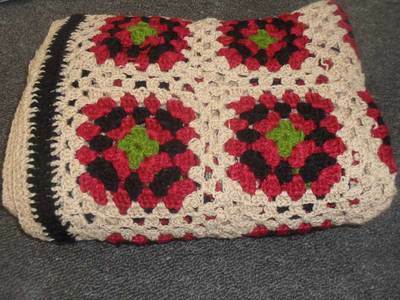 60 granny squares for this blanket. 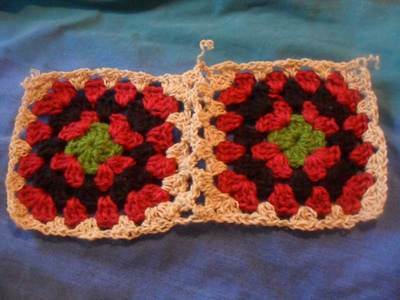 The border was made of trebles: 2 rows black and 3 rows beige. 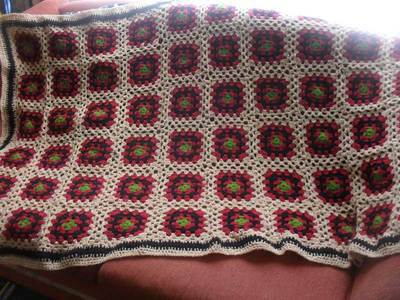 One treble into every space along the outside edges and 3 trebles into the corner spaces to keep the blanket corners square.